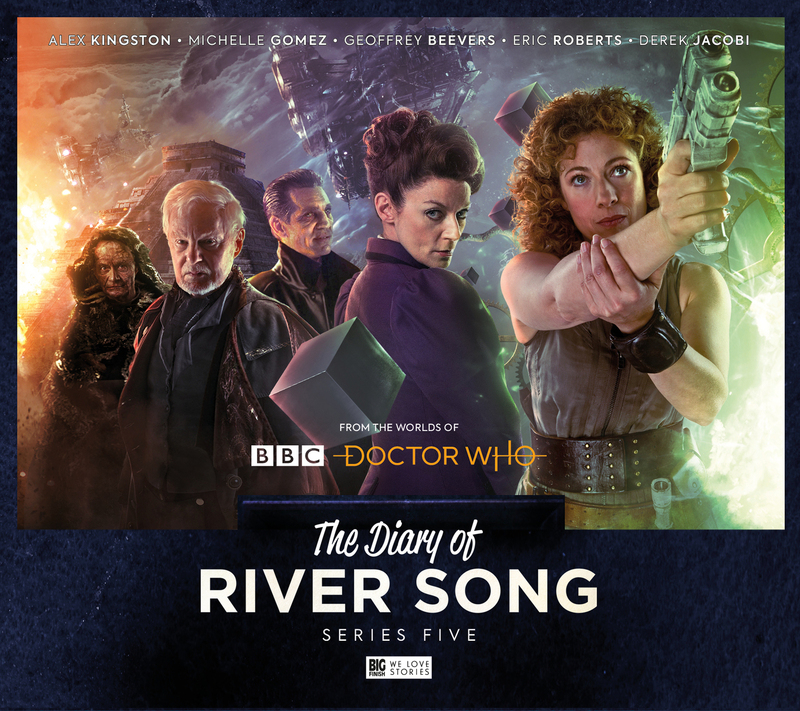 River is back to her Big Finish audio best; but instead of following the timeline of her hubby, she is following the life and faces of his Timelord nemesis, the Master. 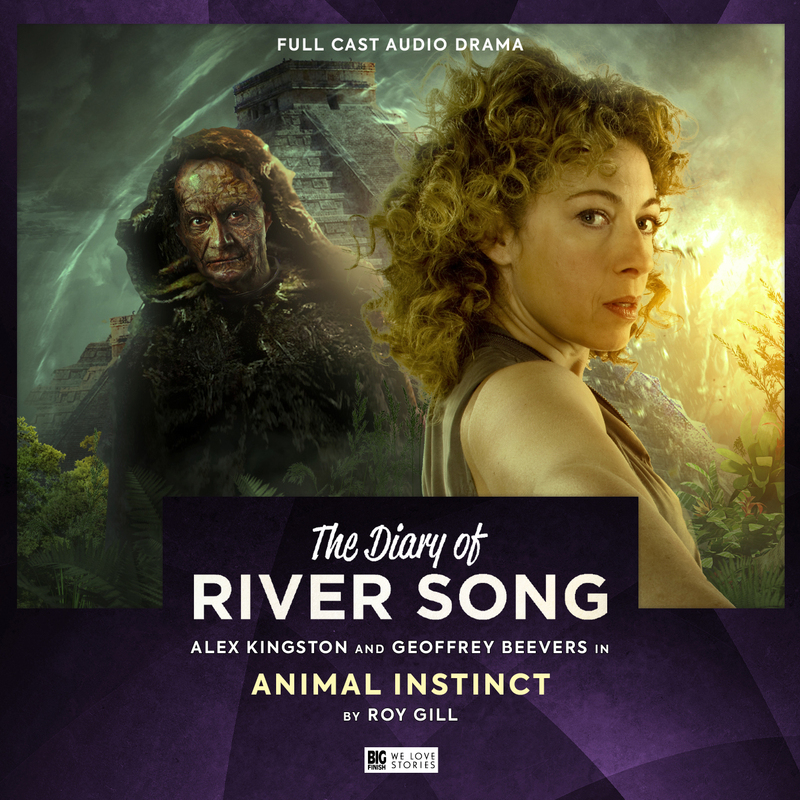 River (Alex Kingston) finds herself waking up in a prison. She’s only slightly put out it’s not the one she fell asleep in. She is rather more put out when she finds herself locked up with an unpleasant woman bent on bad deeds, so vile that she stands out among the other evil-doers in the prison. But why are they all here and will they all make it out? A very strong opening story. 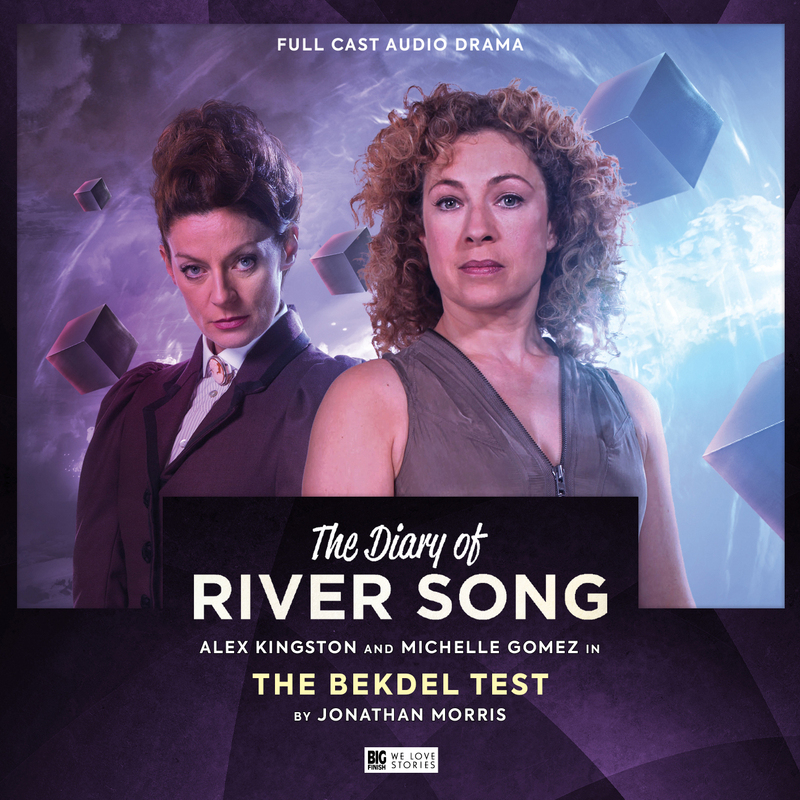 Kingston and Michelle Gomez as Missy are a pairing it would have been lovely to have seen on TV, but the impact is no less for having to wait to hear them together in audio. They spark off each other just as you would want. The setting of having them in close quarters, not knowing why they are there adds extra reason for them to work together and to want to get away from each other. This isn’t a simple tale of them just talking about the Doctor; it is about them, besides the Doctor. As it should be. This is the kind of story that shows, when written at her best Missy is up there with the greatest Masters. I could have enjoyed a whole boxset with just these two together! River & a student of hers, Luke (Timothy Blore) arrives at the location of a tomb with a prophecy she thinks must mean the Doctor is inside in stasis. When she finds the remains of a Mummy, her student is surprised when said Mummy arises announcing himself as the Master (Geoffrey Beevers). Just another day in the office for River! 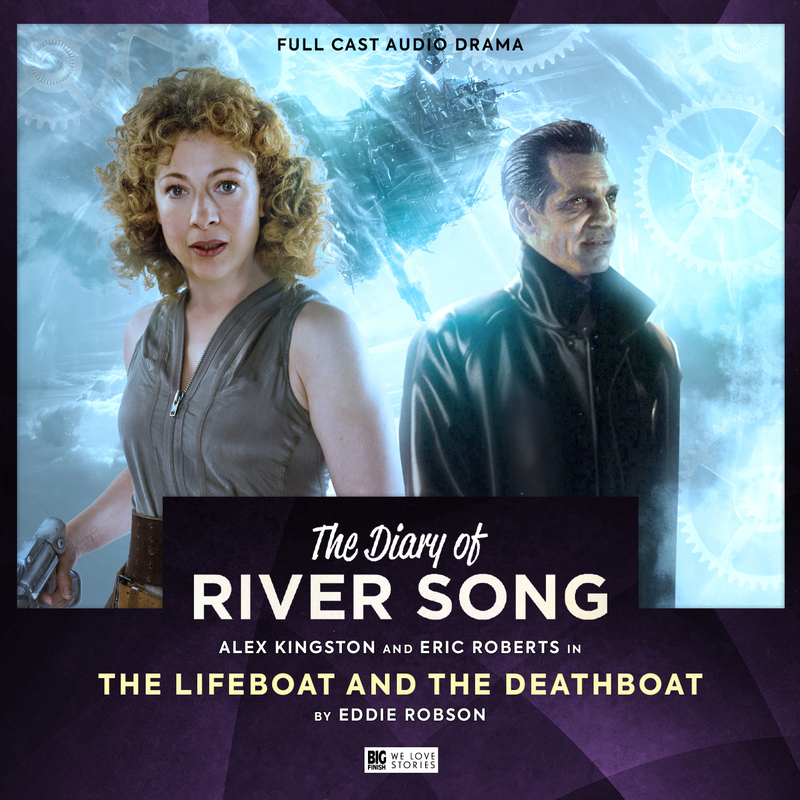 As with the last story, the writer has found the dark heart of this version of the Master and used it to challenge the difference between River and him. The twist comes when they also question what things they might have in common where River isn’t so morally absolute as the Doctor. When you then throw into the mix what it would be like to have River as a teacher through the eyes of Luke, you really have a great story. Beevers is at his seductively evil best! Missy is experiencing something of family life as she is stranded for the time with a Father / Daughter duo in the vortex; albeit on a patchwork ship, fighting a life form that lives in the vortex. The dad Daniel (Eric Roberts) is sadly unfamiliar to River or she might realise the danger his daughter, Alison (Lucy Heath), is in inside the ship as well as from outside. Robson gives us another side of River once more. We see what she is like dealing with a family. We also get another take on the Master. Not only is this only the second time we see the 1996 TV movie Master, but it feels like a different take on it. Let’s face it when we saw this Master last, he was fighting a dying body as well as the Doctor and the performance by Roberts was turned up to 11, with him wanting to show every part of the character existed in death, or was dying (something he has talked about in interview since). Here Roberts gets to play it more subtle, especially as the Master is trying to appear to be someone’s loving Dad. I will admit to having wished to have seen a few more larger notes when the Master is revealed. If nothing else to show a connection to our last experience of this version of the part, but I certainly felt I wanted to see this Master again to explore him more. Heath as Alison is really well played, going from a daughter going through usual relationship things with her Father to having to deal with greater threat and later questioning who she is. River is on a mission returning from deep space with a team. When the crew start dying, who can she trust and how can she protect the ones still alive? And are they alone? Given we have one Master (Derek Jacobi) left to see in this boxset, you may work out some of these answers, but more twists await. Derek Jacobi’s Master in audio form has shined as it does here. The writers have taken the clues in his brief time as the Master on screen in two scenes after he is freed from the chameleon arch’s effects and extrapolated it to a wonderfully creepy and sadistic version of the role. Handcock does this once more. I really enjoyed the turns in the script that keep us guessing and the stalking aspect of the Master is perfect for how Jacobi plays it. I would love to have heard more of this Master in the story, but I assume getting so many stories with Jacobi, who is ever in demand for good reason, must come with some time limitations to write around. It’s lovely to have a study in so many Masters in one set and what an inspired idea to use a different lead character to work with and against the Masters. It means it’s not as simple as the Doctor defeating the Master once again. It also means we get to see how someone else stops the Master and how much more it might cost you if you don’t have the powers over time the Doctor does. Not that River is exactly without tricks up her space suit sleeves of her own as she proves in every story. 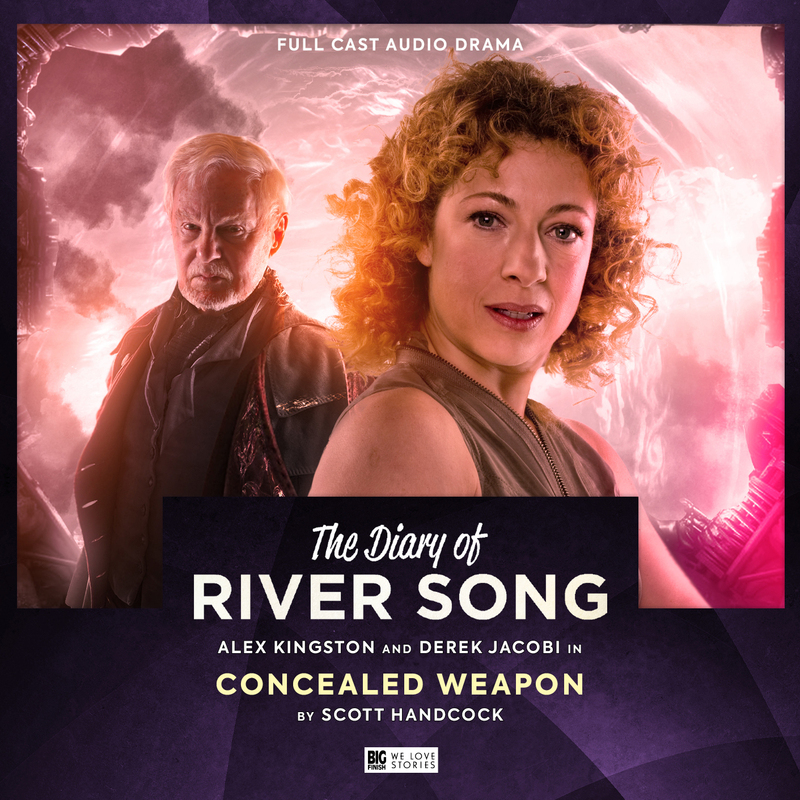 Kingston shines against every one of these wonderful Masters and gets two who are fresh to Big Finish before even the Doctor gets to play with these new audio toys! It’s hard to believe this is only the fifth series and it’s great to see her getting such a big challenge that she meets at ever turn as a character and actor. 9/10.